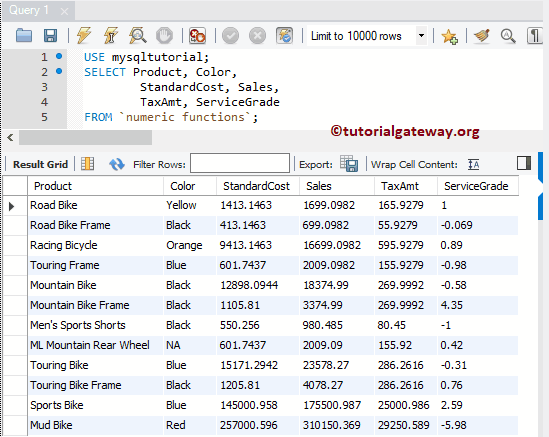 MySQL ROUND function is one of the Mathematical Function which is used to round the specified expression to user specified precision, or length. In this article we will show you, How to get the rounded values in MySQL using Command Prompt, and Workbench with example. Numeric_Expression: It can be a number, or valid numerical expression. Length: This is the precision to which the Expression is rounded to. Length can be a number or a valid numerical expression. If length is positive number, MySQL Round function will round the Numeric_Expression to the number of decimal point specified as length. If length is negative number, Expression can be rounded to the left side of the decimal point. 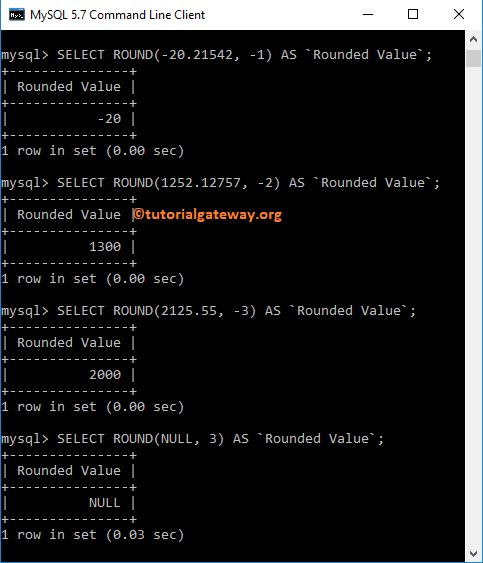 The MySQL ROUND Function is used to return the rounded value of the specified number. The following query will show multiple ways to use ROUND function with positive length, and no length. 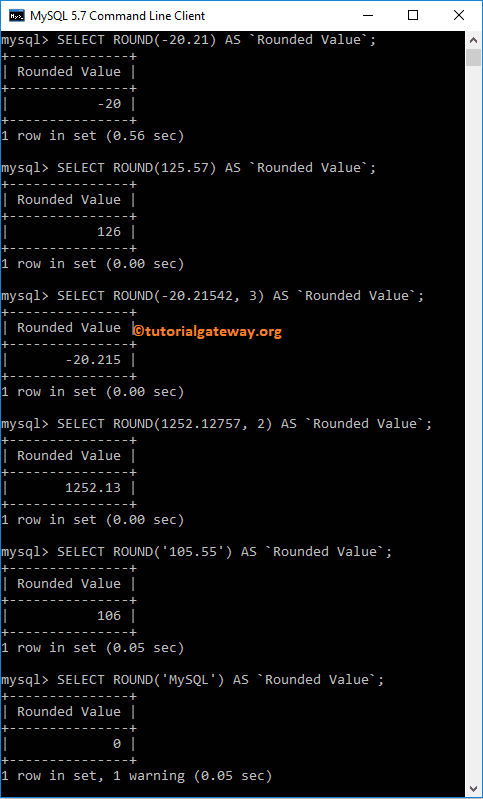 From the below screenshot you can see, we used MySQL ROUND function on different values. Here, we assigned a new name to the result as ‘Rounded Value’ using ALIAS Column. 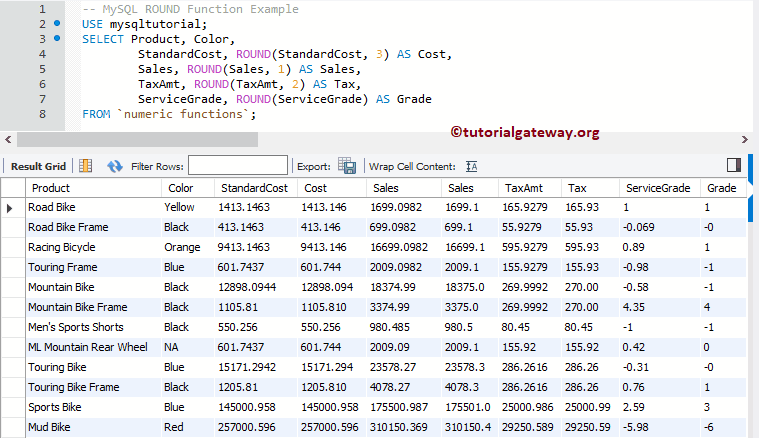 In MySQL, ROUND Numeric Function also allows you to find the rounded values for the column data. 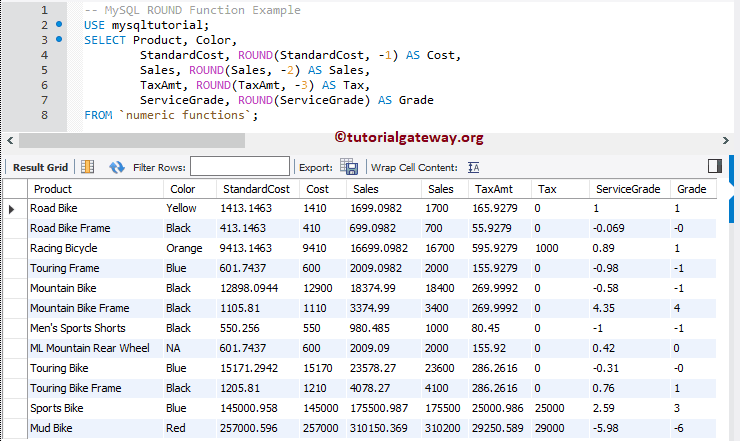 In this example, we are going to find the find the rounded values for all the records present in Standard Cost, Sales, tax Amount, and Service Grade columns. In this example we will write the same query that we used in our previous example. But, this time we use the negative values as the second argument for the ROUND Function in MySQL.